Lately, there's been a lot of wireless headphone options. We've reviewed a lot. With many of the flagships out there leaving out the outdated 1/8" headphone jack, the need for a good set of wireless headphones is important. Even more so if you can get them in your brand and lock in that loyalty from your customers. The trend has been (since the Airpods) to have TRULY wireless. Which I get. I prefer my Pixel Buds, not truly wireless as there's still a cord to connect them to each other, but I think I need that. When I reviewed Hero's truly wireless option I was underwhelmed - but mostly due to the awkwardness of having potentially 2 loose things. The nice advantage is that they can charge up the case wirelessly - so with the new S10 having device-to-device wireless charging you should have no issue making sure they're always powered up and ready to go. Today, Samsung Canada is excited to announce that its latest cord-free earbuds, Galaxy Buds, are now available for purchase in Canada. Galaxy Buds are the ultimate cord-free earbuds for those who want a seamlessly connected experience on the go. With their truly comfortable form factor, easy controls, clear and smart sound, and compact size, they are an everyday in-ear lifestyle companion. Galaxy Buds offer a supreme listening experience, with sound by AKG. Enhanced Ambient Sound allows you to control what you hear while the buds are in your ears, so you can remain aware of your environment while you take a phone call or listen to your favorite tunes. 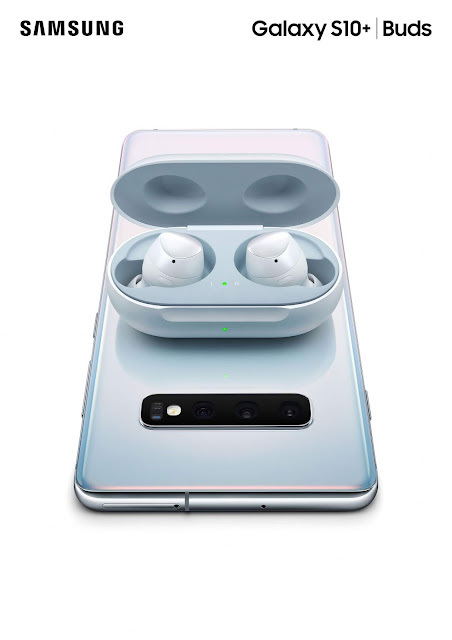 Galaxy Buds also keep up with you all day, with up to six hours of Bluetooth streaming, and up to five hours of calls. Plus, their compact case holds a charge for up to seven hours, and gives the Galaxy Buds 1.7 hours on a 15-minute quick charge. With wireless charging and device-to-device power sharing, you can also get a quick charging boost on the go from Galaxy S10 - the latest Samsung smartphone, marking the tenth anniversary of the Galaxy S line. In Canada, Galaxy Buds will be available for purchase at Samsung Experience Stores, online at Samsung.com/ca, and at select retailers across Canada, for $199.99 MSRP. Galaxy Buds will be available in three colours: Black, White, or Yellow.